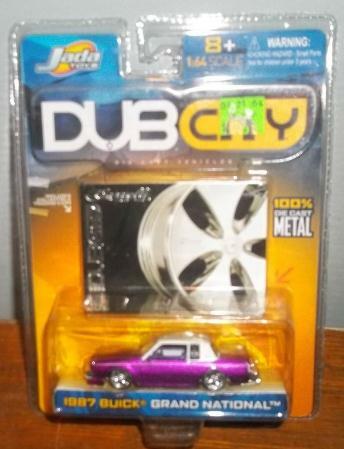 While the Dub City series from Jada Toys wasn’t a very popular one because of lack of accuracy on the turbo regals, and of course, you had to like the Dub type of cars, they did add to keeping the Buick Grand National on peoples minds and in the public eye. 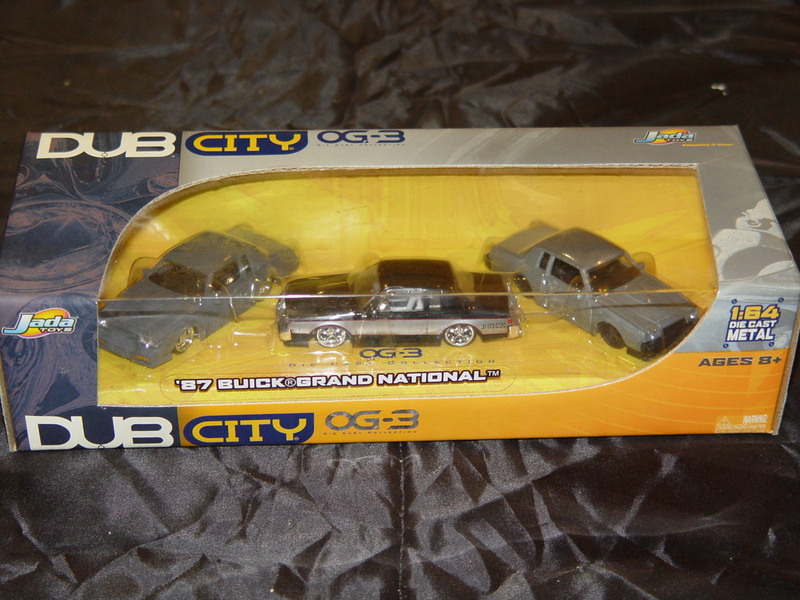 These 1:64 scale diecast toys came in black, a funky magenta/purple, an unpainted version, and then they came out with a 3 pack (two tone black/gray, an unpainted version, and a zamac car) entitled OG-3. 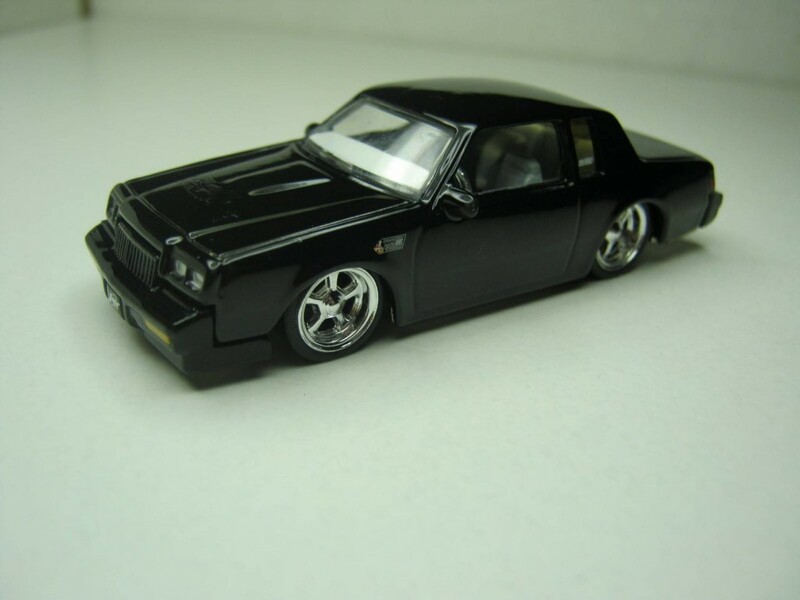 The last picture shows a black version I recently acquired with chrome wheels. 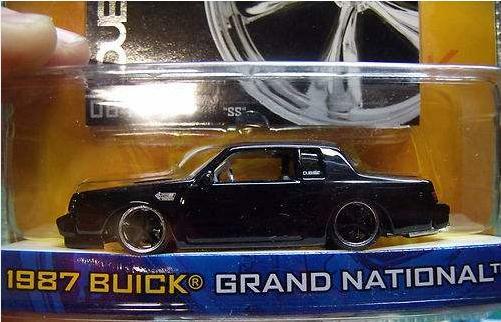 While the vehicle body is identical to the black car shown in the first picture, I’ve never seen this car for sale with chrome wheels! 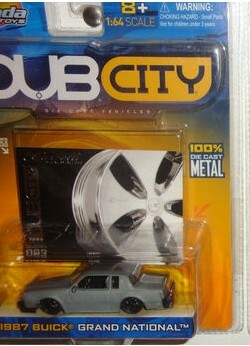 I’m not sure if this was an error, custom made (which I doubt), or perhaps it was mass produced & I just missed it!? I bought it as a loose car (with no box or packaging), so I guess it remains a mystery for now.